70. 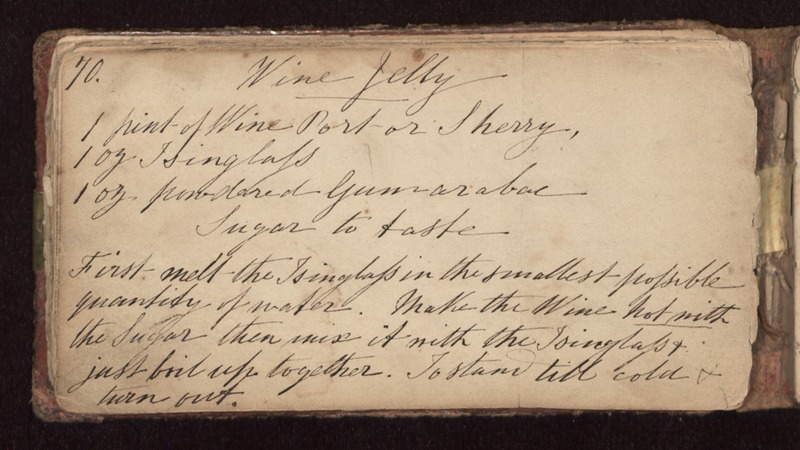 Wine Jelly 1 pint of Wine Port or Sherry, 1 oz Isinglass 1 oz powdered gum arabic Sugar to taste First melt the Isinglass in the smallest possible quantity of water. Make the Wine hot with the sugar then mix it with the Isinglass & just boil up together. To stand till cold & turn out.